A famous and unique Porsche 356. This ‘Outlaw’ was the vision of 356 aficionado Lewis Hauser, the idea of fusing old school Speedster looks with something totally unique. It took a starring role at the Smithsonian National Museum of Natural History’s ‘America on the Move’ exhibition. It was the very first Outlaw to win Best of Show at a 356 Registry Holiday, the 30th event held in 2004 in Williamsburg. 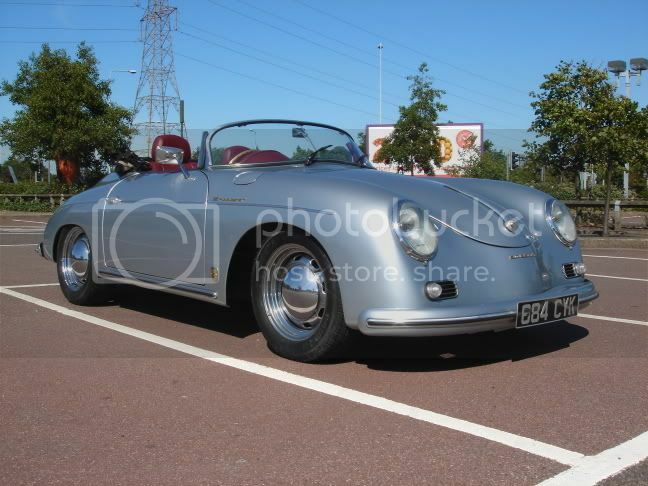 It has featured in several magazines, 'Ferdinand', ‘356 Registry’, ‘Excellence’ and ‘Speedster’. The Sportolet is a Porsche that demands attention wherever it goes. It is a curiosity to dedicated enthusiasts while those who would normally have no interest just stop and stare. This Porsche represents everything that is good with custom builds. There will never be another Sportolet; it was created with a huge amount of foresight and skill. The result is a classic, a unique piece of engineering, guaranteed to please and cement itself a well earned place in 356 history.